Latest information of drill bit grinder and technical articles are from here - Purros Machinery Co.,Ltd. The purpose of grinding is to change the edge shape or point angle to increase the front angle and control chip breaking. Or change the distribution of cutting load, increase the heat dissipation condition and improve the life of drill bit. Grinding the concave arc edge and strengthening the centering function of the drill are helpful for chip separation and chip breaking. 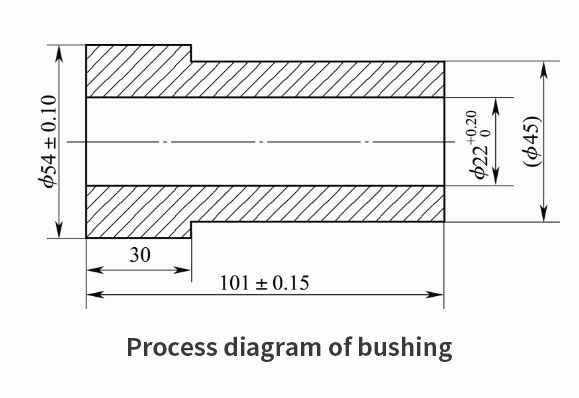 Grinding out double or multiple point angles, or grinding out convex arc edges, can improve the heat sink at the edge of the drill edge and increase the life of the drill bit, which is suitable for brittle materials. Grinding out the chip dividing groove to facilitate chip removal. There are many points of attention and its use in grinding drill bits. If customers have difficulties in drill grinding, please consult us. We are a manufacturer of drill bit grinding machines. We are familiar with drill bit grinder product structure and function. The feeding amount should be small when the drilling starts, and the normal drilling can be achieved only after the cutting part of the twist drill enters the workpiece. When drilling through holes to be drilled through the workpiece, the feed should be small in order to prevent the twist drill from breaking. When drilling small holes or deep holes, the twist drill must always be withdrawn from the drill to remove chips, so as to prevent the twist drill from “biting” or breaking because of cutting blockage. When drilling steel materials, cutting fluid must be poured sufficiently to cool the twist drill in order to prevent the twist drill from heating and annealing. Twist drill is the most commonly used bit. Its body has spiral grooves and its end has cutting ability. The standard twist drill consists of shank, neck and body part. The shank is the clamping part of the drill bit, which plays a central role in fixing and the role of transmitting torque in drilling. The taper shank can transfer larger torque (mainly the flat tail part of the shank), which is used for drills larger than 12 mm in diameter, while the straight shank can transfer smaller torque, which is generally used for drills smaller than 12 mm in diameter. The neck is the connection between the handle and the working part, and serves as the position of the grinding wheel when grinding the outer diameter. Bigger diameter bits are marked with trademarks, bit diameters and material grades at the neck. Small diameter drill does not have neck. The body part of twist drill is the main part of the bit, which includes the guiding part and the cutting part. The clamping method of parallel shank twist drill is basically the same as that of using drill chuck to install clamp center drill. The taper shank twist drill can be connected with the machine tool directly or through the transition sleeve. 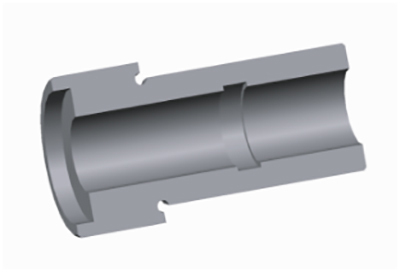 When the taper number of the bit shank is the same as the taper number of the tailstock sleeve taper hole, the bit can be inserted directly to realize their connection. 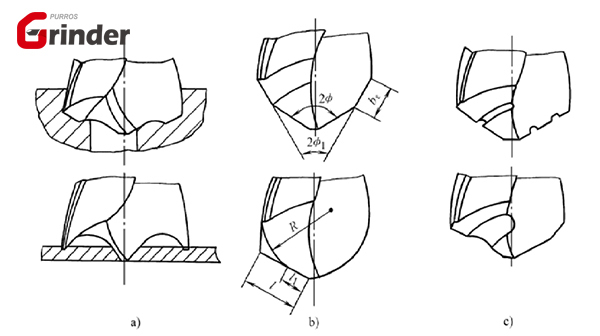 If their taper numbers are different, they must be connected to the tailstock of the lathe through a transition sleeve. When the twist drill in the Morse transition cone sleeve is dismantled, the wedge iron can be inserted into the waist hole, and the bit can be dismantled by tapping the wedge iron. The main geometric parameters of twist drill include the choice of cutting lip angle, the choice of land angle of cutting edge and lip clearance angle of cutting edge, the analysis of the influence of helix angle on the life of drill bit and the treatment of cutting edge. Cutting lip angle determines chip width and bit front angle. When the diameter and feed of the bit remain unchanged, increasing the top angle will narrow the iron filings and reduce the load per unit cutting lip. Cutting lip angle has a great influence on the land angle. Increasing cutting lip angle correspondingly can improve the cutting conditions at the core. Cutting lip angle affects the direction of chip outflow. According to the relevant tool design data and the characteristics of low hardness but high viscidity of the processed product, the cutting lip angle of the bit is selected to be 140°. The land angle of a twist drill is determined by other geometric parameters of the drill. In high-speed cutting, the rake angle has little influence on cutting deformation and cutting force, and the strength of tool tip can be enhanced with a smaller land angle. When the land angle is determined, the bigger the lip clearance angle is, the sharper the edge is, but the wedge angle will decrease correspondingly, which will affect the strength and heat dissipation area of the tool. For this purpose, the lip clearance angle of the drill bit is selected as a smaller one, which is 8°. If you choose our drill grinding machine, you can easily finish the drill grinding work. You can achieve the desired results by choosing the right chuck according to your drill bit. Our drill bit grinding machine makes complex drill grinding easy. If you are interested in our products, please contact us. We are a manufacturer of drill bit grinding machines. The price is relatively favorable. We welcome agents to negotiate business. Helix Angle is the angle between the helix line on the helical groove and the bit axis after it expands into a straight line. 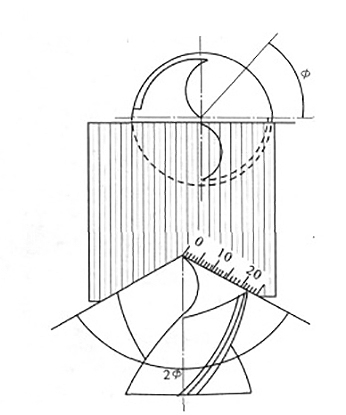 Since the lead of each point on helical groove was the same, the helical angle was different at different diameters of the drill bit, with the maximum helical angle at the outer diameter, and the smaller the helical angle was the closer to the center. Increasing the helix angle will increase the front angle, which is conducive to chip removal, but the rigidity of the drill will decrease. 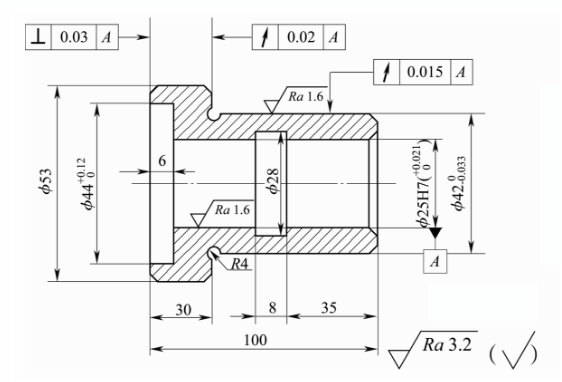 Standard twist drill helix angle is 18 ° ~ 38 °. 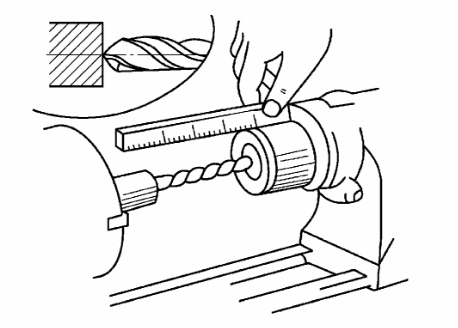 For bits with smaller diameter, the helix angle should be smaller to ensure the rigidity of the drill bit. According to the shape of twist drill, the helix angle of each point on the cutting edge is variable, and helix angle directly affects the front angle of the main cutting edge. The larger the helix angle is, the sharper the cutting edge will be and the lighter the cutting will be, otherwise it will cause severe machining hardening and wear the blade quickly. According to the cutting tool design data, helix angle of 30 ° can satisfy the use requirement, at the same time, it can be mass production. PURROS there are many sharpening machines. 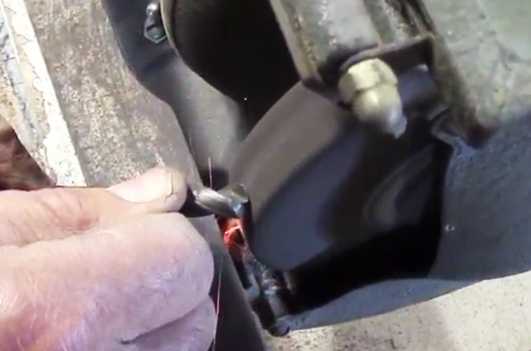 If your tools wear a little bit, you can use our tool grinder. Before you buy a new tool, you can use a grinded tool for a period of time to save manufacturing costs. This refers to the grinding of the bit’s edge slowly along the entire back surface, starting from the edge of the bit. This facilitates heat dissipation and sharpening. 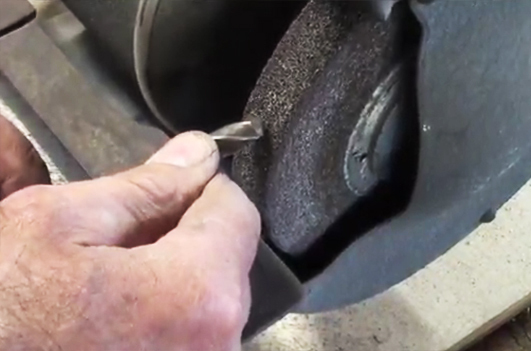 At this point, the bit can gently contact the grinding wheel for a small amount of edge grinding. When grinding the edge, observe the uniformity of spark, adjust the hand pressure in time, and pay attention to the cooling of the drill bit. When the edge grinding starts again after cooling, continue to set the position. The Universal Tool Grinder is offered by Purros Machinery Co., Ltd., a professional OEM/ODM tool grinder manufacturer and supplier, End Mill Grinder, Twist Drill Grinder, Lathe Cutter Grinder, Carving Tool Grinder, Drill Sharpener, Universal Grinder, etc. Manual grinding of high speed steel bit is subject to human factors. 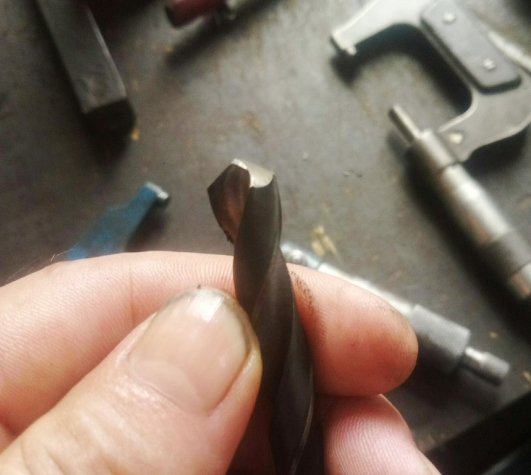 Manual grinding will result in a large error of the drill bit due to the difference between human experience and personal intuition. But machine repair and grinding completely avoid this problem. Drill bit grinding machine is more accurate, and the error is small, the human factors are relatively small. Operators do not need to go through professional drill grinding training can be on duty. The operation of the drill bit grinding machine is very simple and the efficiency of the drill bit grinder is very high. Therefore, now many companies that use drill bits choose to buy a drill bit grinding machine to repair the damaged drill bits, which saves a lot of cost. 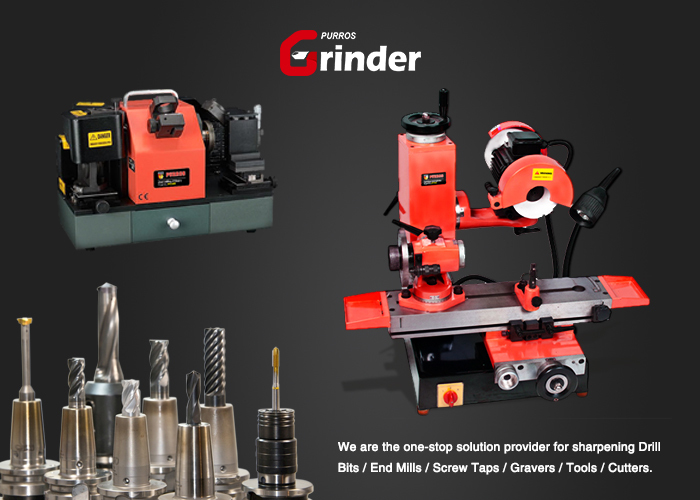 Our tool grinding machines are of very good quality and have been well received by our customers in the market. Welcome to inquire purchase.